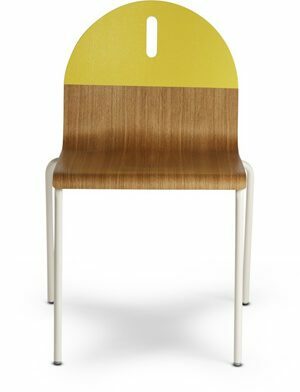 Kelly is a family of chairs with a friendly, playful character, reflected in its natural shapes, pure, bright colours and positive vibrations. The personality of each model is seen in the different shapes and proportions of the backrest and seat, always perched on slender metal leg structures, evocative of vintage furniture and works of modern art. Kelly chairs look great on their own or in any number of combinations and compositions, in the home or in contract spaces.